Southwest Woodworks, located in Farmington, creates custom kitchen countertops, bathroom cabinets, and other home furniture to complete or enhance your home’s décor. We understand the added value unique custom pieces will add to your home. We also design storage cabinets for your bedroom. Customized furniture speaks to your sense of style and meets your storage needs in ways that store-bought items can’t always do accurately. If you want to store valuable fine china, a custom wood cabinet would match the craft the china was made with. 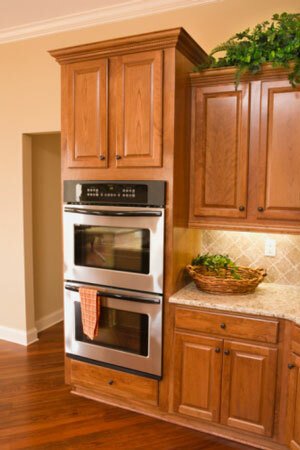 Our carpenters offer ideas to maximize your kitchen space and customize the layout. We are a locally owned business that understands what area home owners need, and that is elegant and durable furniture. Contact us to get started on your custom order.